OUR SPACE, YOUR INNOVATION. 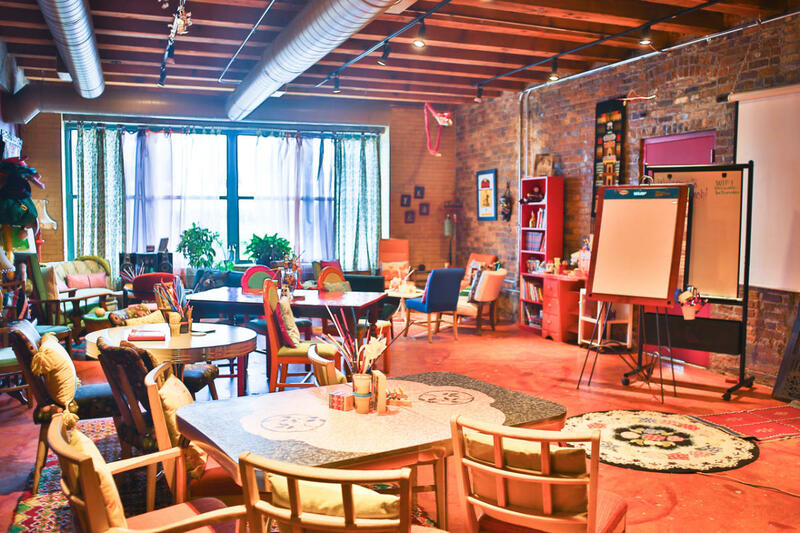 Catalyst Ranch is housed on two floors within the historic Haymarket Square Building. 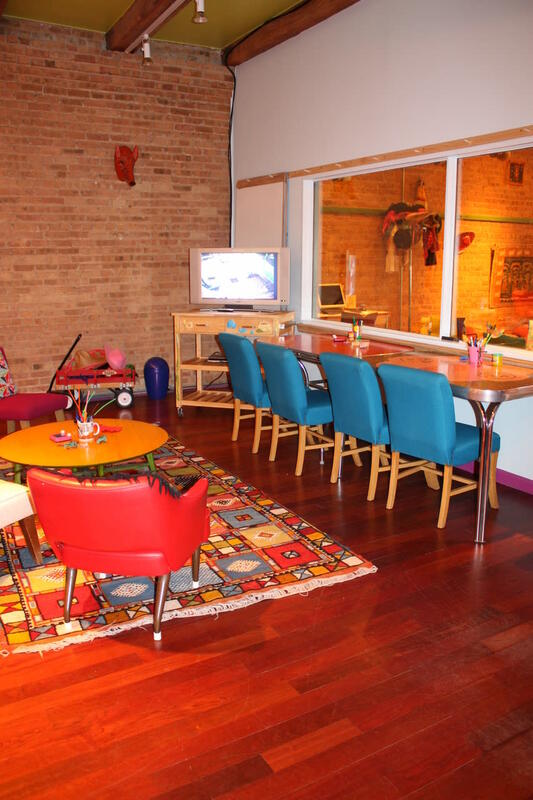 Our historic loft venue is located in the trendy West Loop area, steps away from hotels, dining, and entertainment. 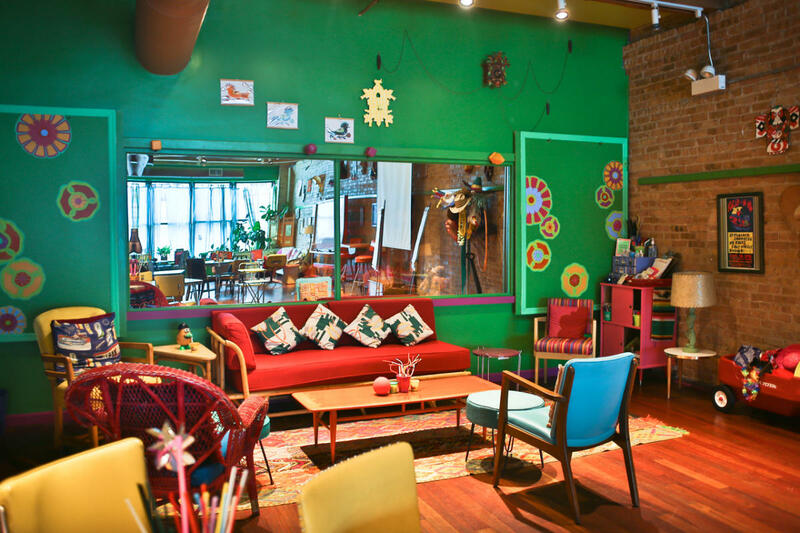 We have 6 generously sized rooms furnished with vintage furniture, ethnic artwork, a lot of color and natural light. Catalyst Ranch is 15,000 sq. feet of absolute inspiration. WITH A CREATIVE ENVIRONMENT, YOUR MEETING CAN RISE TO HEIGHTS UN-IMAGINED! 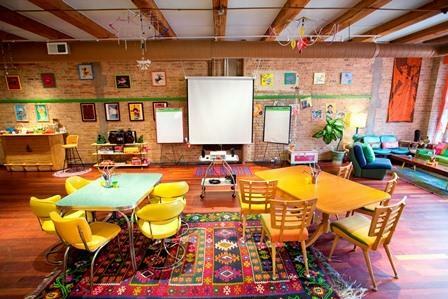 Catalyst Ranch was the first venue in Chicago to realize that the results of any offsite meeting can be enhanced if attendees are placed in the right environment. We found it takes more than a room, some tables and chairs, notepads, pens and A/V equipment to hold an effective meeting. 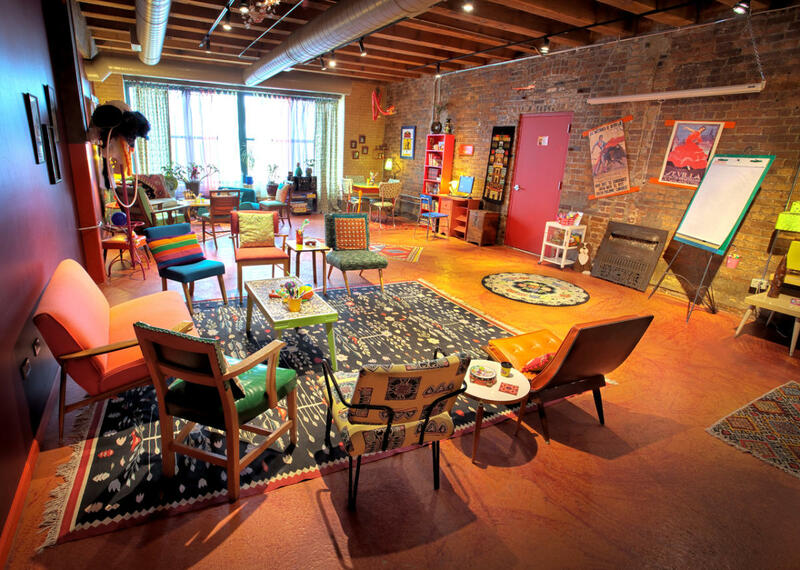 We refused to believe that only Creatives should be allowed to work in non-businesslike, fun, eclectic spaces. Everyone can be more productive if the conditions are optimized, which is why we customize each and every meeting that we host. There are six large meeting rooms that can energize a variety of corporate meetings or special events- training seminars, strategic planning meetings,consumer market research/focus groups, staff retreats, board meetings, sales meetings, as well as ideation and brainstorming sessions . The rooms are designed to help you and your team to think differently, develop new strategies, help your company identify new opportunities and become more productive. YOUR MEETING OR EVENT, OUR SPACE. SHAZAM!